Are the winter rains and gloomy news getting to you? 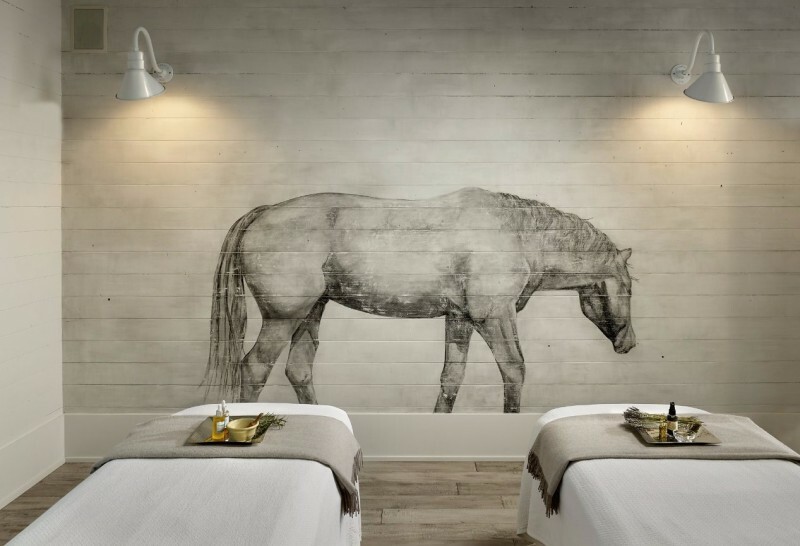 Here are 7 local spas that will soothe stressed-out minds and bodies. 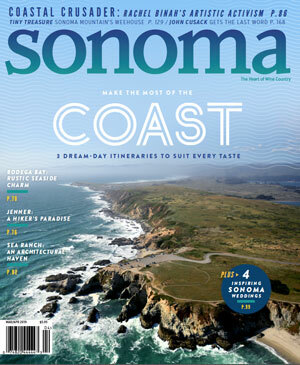 Just think pure, locally sourced, earth-driven and often edible, and you’ve got a taste of what pampering pleasures await in Sonoma County. 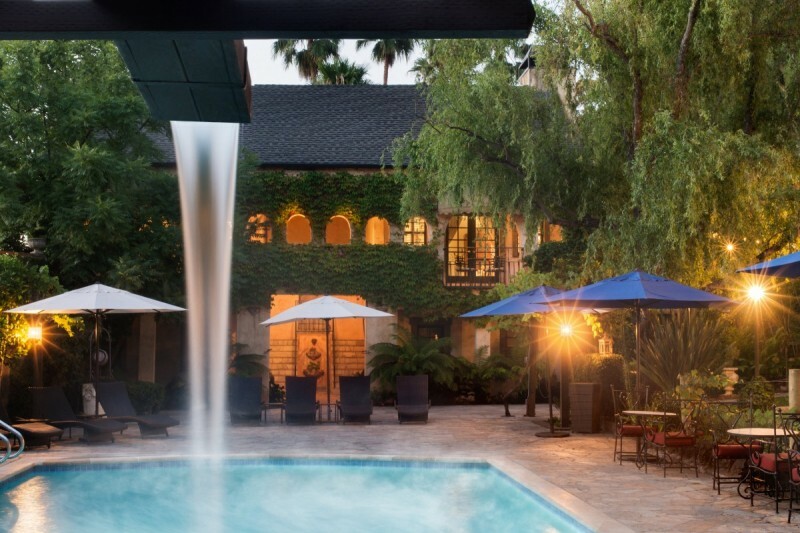 The cedar bath is the signature at Osmosis Day Spa Sanctuary in Freestone, and after the first few minutes, most surrender to the warmth that nudges past 120 degrees. It’s a 20-minute escape from doing anything, even moving the arms, pinned as they are beneath the springy, damp shavings. An attendant tiptoes in periodically to apply cold cloths and offer ice water sipped through a straw. Open your eyes now and then to gaze over the meditative sand garden outside the window. According to Osmosis owner Michael Stusser, this is the only cedar bath in this country, inspired by baths he discovered in Japan for soothing pain, calming nerves, detoxifying and brightening skin. 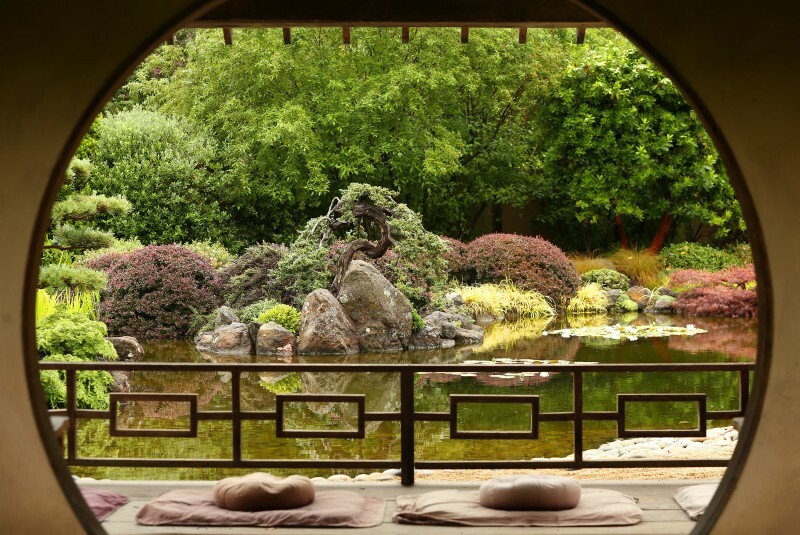 It’s just one example of the distinctive spa treatments found in Sonoma, where unusual ingredients make up oils, wraps, scrubs, lotions and potions. Surrounded by so many boutique farms, the best spas look to the backyard for all-natural products and distinctive services that restore and refresh with the help of Mother Nature. 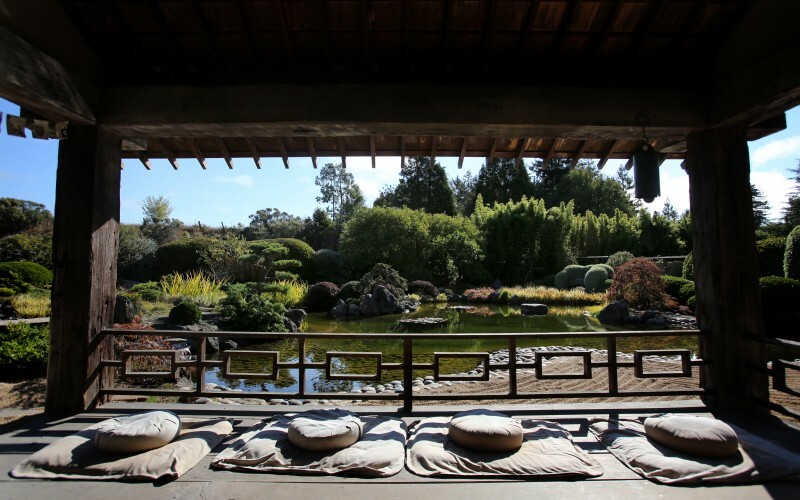 Some spas turn to the ocean, as well, such as Spa Dolce in Healdsburg, with its Detoxifying Seaweed Body Wrap — just the thing with a green-tea facial. The Bodega Bay Lodge spa, meanwhile, overlooks the Pacific and offers a Warm Shell Massage using tiger-striped clam shells filled with hot salt water, minerals, seaweed and essential oils. The pool at Kenwood Inn and Spa. And of course, local spas are inspired by the vineyards. 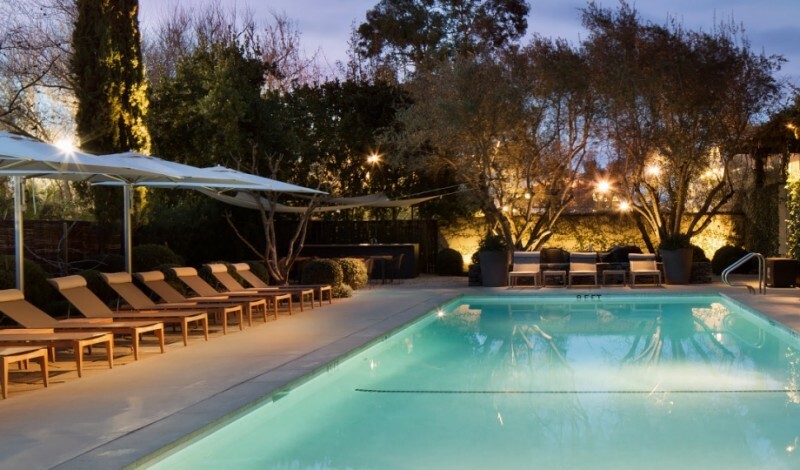 The Garden Spa at MacArthur Place Hotel & Spa in Sonoma recommends a Red Wine Grapeseed Bath, Grapeseed Body Polish and Grapeseed Essential Oil Massage package in the summer; red wine contains resveratrol, a natural antioxidant said to purify blemish-prone skin. Kenwood Inn, too, specializes in vinotherapy baths for soaking in Pinot Noir, Chardonnay or sparkling wine salts, oils and grape elixirs. Sip a glass of whatever wine you’re bathing in. 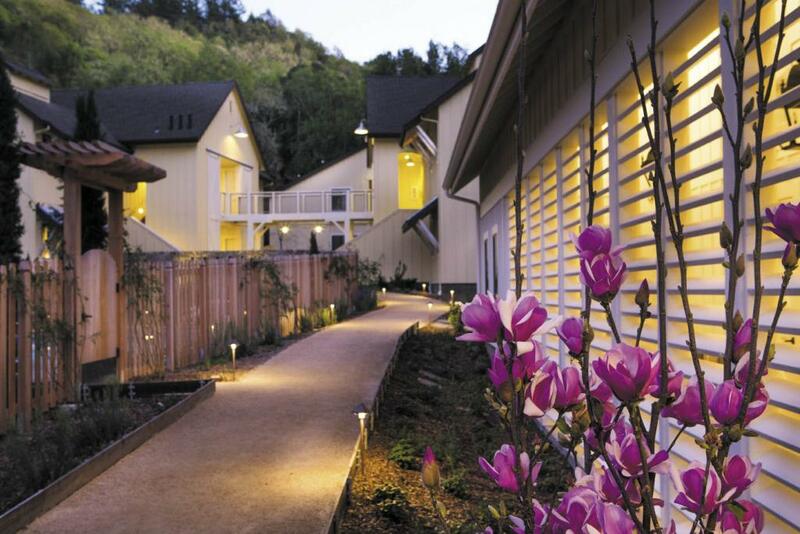 The Farmhouse Inn’s new spa sits across a pathway from the outdoor pool. At Farmhouse Inn and Restaurant in Forestville, fifth-generation farmers and brother-sister team of Joe and Catherine Bartolomei have built a gracious, ultra-luxury lodge around an original 1872 farmhouse on 6 acres nestled alongside Russian River vineyards. It’s posh, indeed: Rooms cost up to $1,200 a night for en-suite treasures including two-person wet-dry redwood saunas, indoor-outdoor fireplaces and big, marble-clad jetted tubs tucked against windows opening to the forest. Nearby Bartolomei Ranch boasts heirloom apple and pear orchards, beehives and herb gardens, for creating products such as spring forest honey and summer blackberry honey lotions and oils. Yet the most tempting treatment is the Body Melt, a massage with a warm body pillow filled with muscle-healing herbs, alfalfa hay, lavender and chamomile set on top of a waterbed. “In days past, farmers used alfalfa to help extract lactic acid from sore muscles,” Catherine explained. For extra indulgence, couples can enjoy the Roll in the Hay package, which includes a spicy mocha scrub, an extra-large alfalfa pillow and custom aphrodisiac elixirs. Spa at the Farmhouse Inn. Michele Steinert grows many of the ingredients for the artisanal products she creates for the high-end spa at Hotel Healdsburg, drawing from her garden that hosts more than 600 varieties of lavender plants. Her small-batch lotions, balms, oils and scrubs are produced in the apothecary studio of her 17-acre Santa Rosa ranch, for a custom Farm to Spa Collection of products such as Warming Herbal Crème and Meyer Lemon Body Crème. As guests relax in one of the spa’s six sleek, moss-green and wood-trimmed rooms, they choose from a menu so seasonal, constantly changing and delicious that it reads a bit like a restaurant menu: lavender, rosemary, brown sugar, pumpkin, peppermint, ginger, honey from Steinert’s own bees, citrus, chocolate, cherries and vanilla. For summer, she likes apples and herbs made into a soothing facial masque. The plants, herbs and spices are married in aromatic, sometimes unexpected concoctions such as Chocolate Whipped Body Butter Crème, a rich, thick and silky blend of organic cocoa and mango butter plus Shea nut butter, seed butter, sunflower and safflower oils, apricot, rosemary and vitamin E.